yesterday was a really good working day. It was one of these days when you go to work in the morning and the next thing you realize is that it’s about time to go. I was doing a lot of tiny bits and pieces but I was really happy in the evening as I had accomplished quite a lot stuff. Luckily I didn’t forget to take pictures of all the deliciousness that went into my mouth for this week’s WIAW! HUMP DAY, HOME OFFICE DAY, FAVORITE WORK DAY!!!! And of course my absolutely favorite link-up blogger day! Thanks Jenn as always for hosting this! When I arrived at the office I started to answer my emails and worked on a concept for my boss. She suggested our project for a University Award and I needed to get together an overview of the program evaluation. Fingers crossed friends! Around 10.30am I had to leave as I had an appointment with one of my mentors. I realized that I had forgotten to eat completely so I had my peanut butter and banana sandwich on the go. Didn’t matter. It was so very delicious! I tried a new organic bread called Essener Brot. It’s whole wheat spelt. I will never have another type of bread! When I came back from my break I had lunch at my desk. I had a second sandwich with chicken breast and mustard and some carrot sticks and tomatoes as a side. My stomach started growling around 4.30pm and I had my second snack of the day. You might have wondered if I wanted to deny my signature meal today? NO WAY!!! But in order to mix it up a little I had one of y latest favorite desserts. 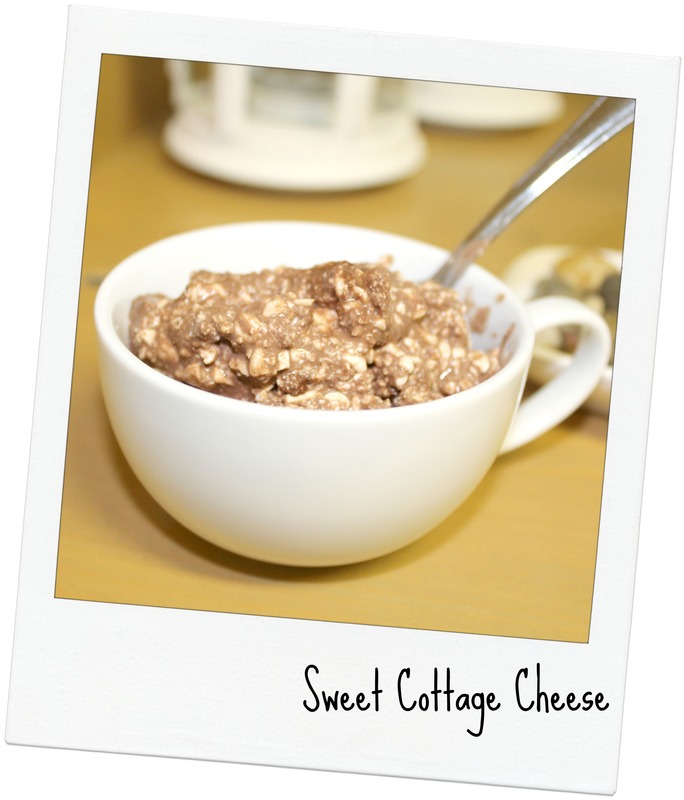 Cottage Cheese with cacao powder and a hint of agave syrup. VERY VERY GOOD! A fantastic way to curve sweet cravings without indulging into too much sugar. Doesn’t look very good but I promise it is! So I decided to make a special meal. Ever since I saw Jenn’s Chilli Stuffed Sweetpotato on last week’s WIAW I just couldn’t get it out of my head. So yesterday was the day this recipe finally happened. It turned out deliciously. I highly recommend to try it. I might have a new favorite meal! We enjoyed a bottle of sparkling wine with it. We had a nice and cozy evening and started with the 4th season of Dexter. Haha I never thought Dexter and nice and cozy would go together in one sentence! As I was craving something sweet (I always crave sweets when I have alcohol) I had one of these lovelies! It’s a little smaller than a lifebar but as healthy and with different flavors like gingerbread ♥ and cashew cookie. Yesterday I had orange cacao and it absolutely hit the spot! 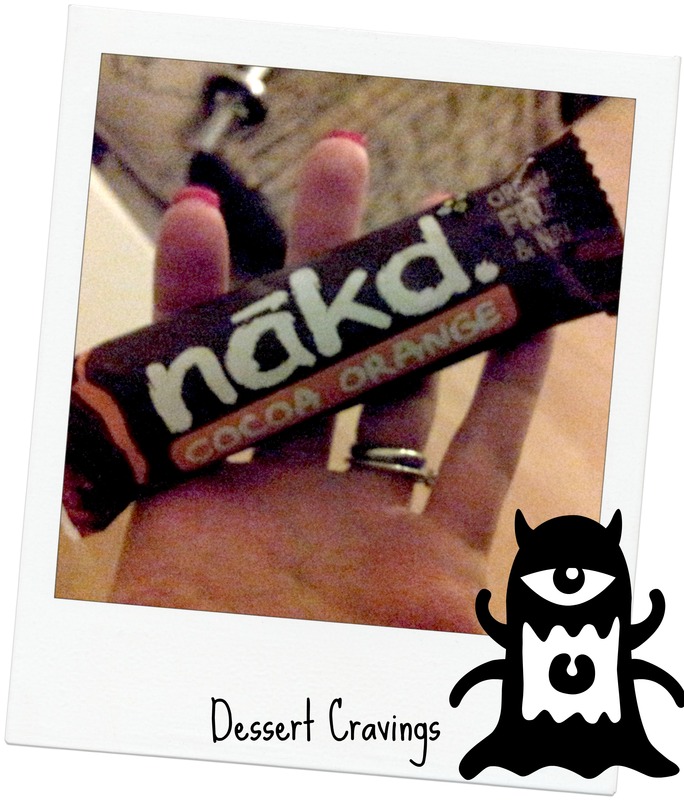 Gosh, Juli, you have to tell me where you bought the nakd. bar in Germany! I’ve been searching for something similar so long now and didn’t think we have it here. I bought it in a little independant organic shop around the corner. I was really surprised to see them there as I only knew them from the UK. But I’ve never seen it anywhere else in Germany. 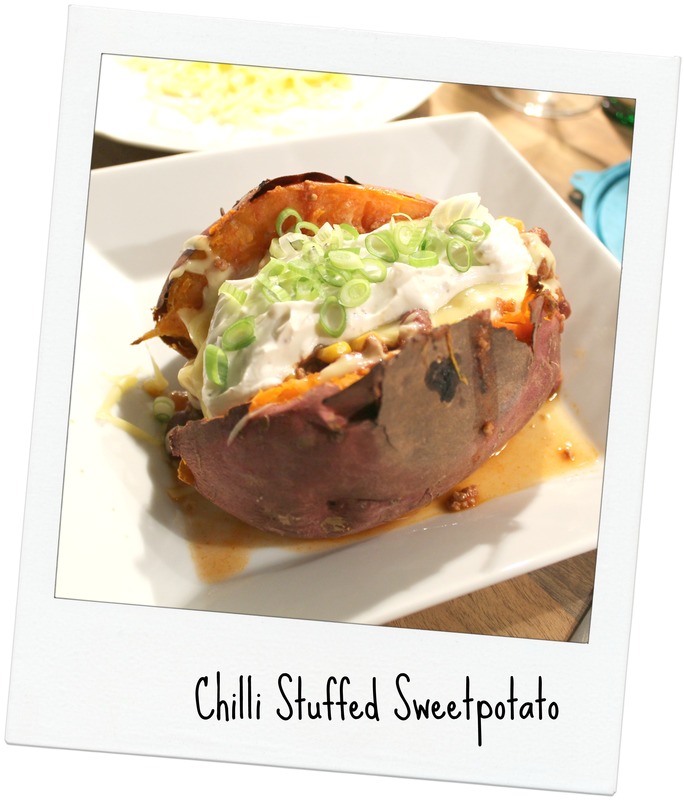 Chili-stuffed sweet potato sounds soo delicious! What a lovely day you had. Big congratulations to your husband on his promotion. It’s always nice when hard work pays off. Thank you so much! Is it odd that I feel so proud? Have a wonderful day too! I love the graininess of that bread! Okay I am glad I came to check out your blog! I am going to have to try your cottage cheese mixture!